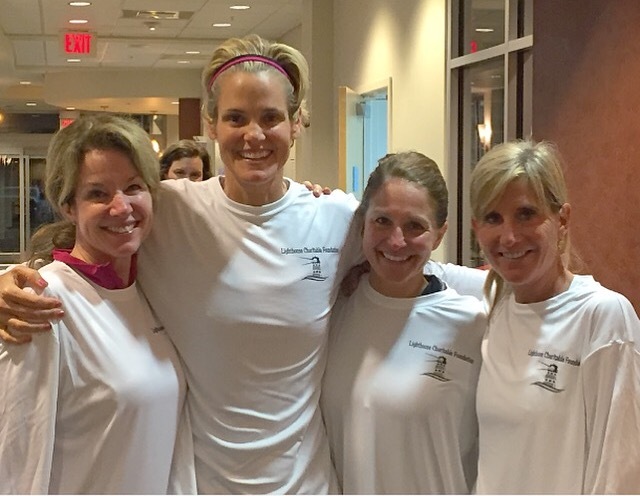 Boston Design Guide took a spin class with 12-time Olympic medalist Dara Torres to support the Lighthouse Charitable Foundation on February 23rd at Bosse Sports in Sudbury, MA. The Lighthouse Charitable Foundation helps families in need by bridging the gap between the care families can afford and the care that they need. The foundation fundraises to provide financial support to those undergoing healthcare treatments to many families in need.